Tracy is the founder of Fults Commercial Real Estate. With more than 20 years of brokerage experience and several years as a real estate lawyer, Tracy is adept in successfully negotiating office lease transactions on behalf of investors and owners. Having represented both building owners and tenants, Tracy possesses significant insight and experience in negotiating both sides of transactions. With his multidisciplinary background, including management, finance, law and involvement in millions of square feet of office lease transactions, Tracy is a tremendous asset to his clients. Tracy began his real estate career as an attorney, working on real estate transactions. Later, he joined the Fults Companies, the company owned by his late father, Jerry D. Fults. There he was “Rookie of the Year,” recognized for the highest level of production during his last five years at Fults, twice receiving the “Top Producer” award, and eventually became an Executive Director. 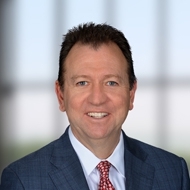 After his father sold the company, Tracy joined Cushman & Wakefield (C&W). In 2004, Tracy was named the Director of Leasing in C&W’s Dallas office. In 2008, Tracy left Cushman & Wakefield to start his own company, Fults Commercial Real Estate. Tracy is a Dallas native and received a Bachelor of Business Administration in accounting from Texas A&M, a Juris Doctor from St. Mary’s School of Law, and an MBA from St. Mary’s University. He received his CCIM designation in 1998 and his SIOR designation in 2001. Tracy is married to Tori and has three children, Torchy, Sam and James.